It could be argued that Dave Ramsey has become the most influential financial voice of this generation. His radio program draws nearly 8 million listeners every week, placing him third in the talk radio genre behind Rush Limbaugh and Sean Hannity respectively. Clearly he has developed an enormous following and has helped millions of people develop restraint, follow a plan and get their financial lives back. Despite his influence and popularity, I continually read of people skewering Dave Ramsey for the message of hope that he brings. I’ve tried for the life of me to figure out why someone who has been so helpful would be the target of such outrage. In some cases, I’m sure it’s simply people taking a contrarian opinion to draw some attention to themselves. However, I think the main issue is much bigger than that and it’s something everyone says when it comes to the area of personal finance. There is no doubt about it – Dave Ramsey confronts people about issues they’d rather not address. Confrontation turns many people off for two reasons: 1) we simply don’t like controversy and 2) we don’t like change. Couple these two issues together and people turn him off. Dave Ramsey has developed a program called The 7 Baby Steps, the main focus of which is to develop patterns of saving and to get out of debt. One of his main strategies for getting out of debt is to abandon the use of credit cards. In our credit driven world, people are simply unwilling to do this and call him foolish for ignoring the benefits responsible use of a credit card can bring (i.e. higher credit score, reward points). This issue centers mostly on Dave’s advice about investing. He has continually advanced the idea that investors should look to receive 12% annual returns from mutual fund investments they make in the stock market. Hoards of financial advisers and market leaders have called him out on this one, saying he is misleading investors with those high numbers, which should be scaled back to the 7-10% range. Naysayers here claim that Dave Ramsey has only been successful because he is good at marketing. He has made a fortune by repackaging (maybe stealing) common sense advice and is taking advantage of people who can’t think for themselves. Reason #7: He’s arrogant to assume his methodology is the best way to win with money. “Personal finance is personal.” I’m sure you’ve heard that saying if you’ve spent anytime reading advice on how to manage your money. It pops up in personal finance literature, on radio shows and on many sites around the web. I’ve even said it here before on this site. Basically it means that each individual situation is different, and what a person decides in relation to their money should be based on their own circumstances. In other words, I have to do what’s best for me and what works for you might not fit my situation. This is generally viewed as positive, although I’m sure there are some who use the “personal finance is personal” slogan to justify financial habits they would rather not change. So when Dave Ramsey comes along and proclaims, “Hey, I have a simple method that is proven to work for everyone,” people get offended. It rubs them the wrong way to think there could be one, singular path to financial independence. As a culture, we generally don’t believe in absolutes. What people fail to see is that Dave’s methodology doesn’t remove the “personal” from the personal finance equation. Yes, there are the seven stages that you move through sequentially before proceeding to the next step. And to go wholeheartedly on the plan would require giving up the use of credit cards, which is a huge step that requires adjustment. However, the formula still allows for other variation depending on what is happening in your personal life. Anyone who has listened to Dave’s radio show knows he advises people based on what they are personally going through. He doesn’t give cookie-cutter answers to every caller. That’s what makes his program unique and special. It addresses real people in real life situations, and analyzes what would be best for them within the framework. I’ve read two of Dave Ramsey’s books, (Financial Peace Revisited and More than Enough ) seen him speak in person once, led FPU and taught his personal finance course to my high school students. He is extremely passionate about his calling and his message stays consistent day in and day out. Based on the feedback he receives from listeners and the research his company has gathered over the last several decades of running their program, his formula seems to be working very well. Shouldn’t that be a good thing? Whether you agree with the methodology or not, isn’t it great that so many people have turned the corner and now have a sense of destiny with their money? And why shouldn’t he stick with and promote a message that he has seen is successful? You or I would do the same no matter what other people thought. Just because it’s an anti-cultural message doesn’t mean it’s wrong. In my opinion, it’s unfortunate people demonize a man responsible for focusing people’s attention and inspiring them to change their poor behaviors. For those people whose lives have been changed he was a godsend. It’s time to quit being so negative about a message that is leading countless people to win. Questions: What other reasons have you heard as to why people dislike Dave Ramsey? What positives do you take away from his methodology? Dave…is Dave. He is passionate about the Lord and getting people out of debt. Bottom line, if you way is not working why not give his way a try? You don’t really have to buy anything; in fact, if you call his show he will likely give you a book…or two. All I know is that he has helped me get on a budget and already I am able to cash flow projects. Having cash changes the game; in fact, I got a 5% discount for a fence project that I cash flowed. Like Dave says, don’t take advice from someone who isn’t winning. Shelve your pride, keep your hands on the wheel and focus. You can do it..or you can go somewhere else. America is great!! I agree with most of what he says, and I just started listening to his show. But I dislike how he bashes liberals. Hello?? I’m a liberal and I listen to your show. Don’t broad brush liberals. Some of us agree with your principles, but I’m certainly not going to purchase anything of yours seeing as how you stated one of your last shows I listened to “go away liberals.” Ok, fine. I guess I will. I regularly read Dave Ramseys blog and he is such a blessing in giving ideas of saving money. It’s really sad that people misunderstood him. If in case, Dave reads this then.. i want to tell you that we love you and your ideas. As Legal and Financial Consulting company, we share your ideas and experience with our customers. I love Dave. I think he seeks truth and truth resonates with people. Yeah, it’s sort of a one-size-fits-all approach, but it is what most of America needs right now. Do I follow all his advice? No. I use credit cards for rewards points and I have a 30 year mortgage and the payment is slightly more than 25% of my take home pay. I followed Dave and listened to his podcast every day for 2 years straight. I paid off $41,000 in debt and I continue to increase my salary each year. What I love most about Dave’s program is how simple it is. It’s really common sense. People have stopped thinking for themselves! I love how he tells it how it is…not just about money, but about so many other things. His radio program is inspirational. I listen to it almost everyday on his website. It keeps me motivated and excited about the future. We’ve paid off $85K in debt since January 2013! Margaret recently posted…Do Your Kids Remember What They Got For Christmas Last Year? And a Poll! “We’ve paid off $85K in debt since January 2013!” That’s awesome Margaret…way to go! I really believe personal finance doesn’t have to be complicated. It really boils down to a few basic habits that, when applied long-term, lead to an increase of wealth. I wouldn’t say I spew hate at Dave Ramsey but I very much dislike him. He’s super arrogant. go read his response to Peters article about Ramsey buying a mutlimillion dollar house on Bible Money Matters. VERY ARROGANT. Or look up his Twitter response to financial advisors who call him out on his over simplistic advice on investing. Not to mention Dave Ramsey is NOT a Financial Genius he’s a marketing genius. His money advice is helpful to a lot of people who are in debt but it’s also very basic. Personally, I wouldn’t take financial advice from someone who doesn’t remember what it’s like to be in my shoes. (And based on the above referenced comments made by him he CLEARLY doesn’t remember.) The only advice I’d take him from him would be marketing related. I have read that response. I guess his attitude is all in how you perceive it. I don’t know him personally but I find him very passionate about the method he preaches. And he doesn’t apologize for what he thinks works. Some see that as arrogant…I really don’t. I’m not sure he has ever claimed to be a genius. In fact, he has said many times he’s drawn his method from others who have gone before him (i.e. his continual reference to “grandmother’s ways.”) His method is simplistic, including his views about investing. I’m not sure anyone can argue that it doesn’t work though. The people that get on and follow the plan as he outlines it have long-term success. I’m sorry my comment probably came off way too harsh. It’s not that I hate Ramsey or think he’s never helped anyone, obviously he has. I even used to follow him. It’s just that over the years I feel like he’s changed. For me personally, I value humbleness in someone I go to for advice for or want to model a portion of my life from. And I just don’t get that from him anymore. I always find it hard to differentiate between arrogance and confidence. It’s a fine line. Athletes always expect to win and often say so publicly. Some see that as being arrogant, others don’t. And to be fair you are right about his business skills and marketing abilities. His on-air persona is designed to be entertaining which it should be. But it probably wears on some people who don’t like the in-your-face approach. But again I think that’s born out of his working with desperate people who needed an in-your-face approach to shock them into change. You do not have to be financial genius to reduce the stupid. I paid off 16K of consumer debt while I paid 1/2 of my gross wages to a mortgage. It was ugly, painful, and I made sure that it would not happen again. I reduced my lifestyle, told everyone what I was doing and why, and made sure my treat to myself was under a buck and enjoyed it monthly. Before 50, my wife and I have control of over 5M in assets, and almost 1/3 that much in mortgages debt. If I could get her on board, maybe 5 to 7 years we would be in a much more enviable position. I understand the math, and I understand what the gazelle intensity would do to change a life. 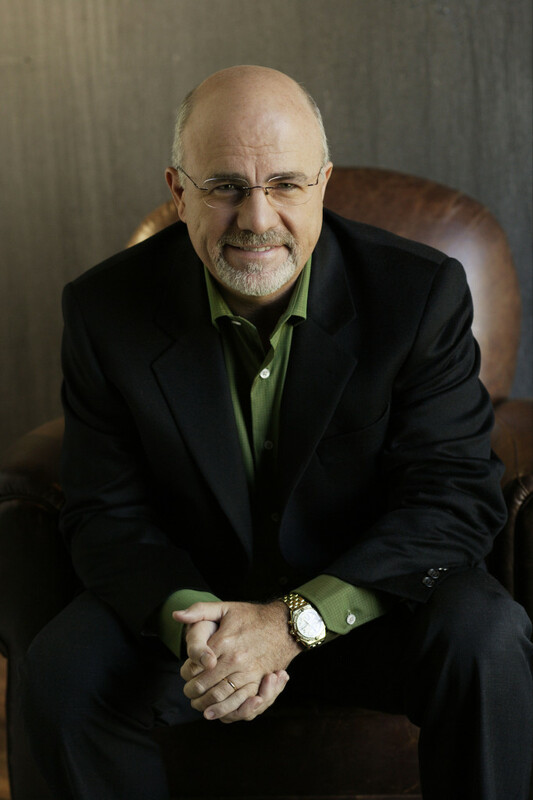 Personally, i love Dave Ramsey and his 7 steps – they’re incredibly helpful! I think it really just boils down to the fact that people don’t like being told what to do. “…people don’t like being told what to do.” Yes…I agree Lisa. I don’t like it always but sometimes I need a kick in the pants. I’ve actually got no problem with Dave Ramsey’s debt management program. I mean, you have to start somewhere. They’re offering it at my parent’s church and I keep trying to get my mom to go. A good friend of her’s does go and my mom keeps repeating back to me the things she hears from her… I’m just like “for pete’s sakes, please just go! !” She kind of needs it. I do worry that in that environment, people will just take his advice without questioning it a little, which never seems like a good thing to me. I mean, even if something IS valid, it doesn’t hurt to test it. And his investment advice isn’t the greatest. Overall though, I think it’s a great program. I wish my Sunday School teacher had done something like that with us when I was in high school. “…people will just take his advice without questioning it a little…” That’s true…we should never blindly follow leaders whether that’s a government official, a pastor, a boss or a financial adviser. Always be willing to test the things you hear come from others. I have taken FPU, taught FPU, and listen to the show when possible. Ironically we have no debt, and really never have. We also use our credit card exclusively, pay it off each month, and use the cash back rewards to pay for trips for our family. I’ve never paid a finance charge or annual fee. Irresponsible credit card usage is not a problem for everyone. I also believe that the investment returns should be lowered. Unrealistic expectations will turn anyone off of doing the right thing. What I love is that he starts a difficult conversation, and the debt snowball does have a realistic end goal. It is common sense application inside a very difficult subject. My belief is that most people who are turned off are because they don’t want to hear that their enormous home purchase with a payment of 50% of their take home pay, new cars every few years with loans rolled into loans, and vacations that take 6 months after to be paid off don’t make sense. People want their bad financial decisions to be justified because it’s easier and sometimes doing the smart thing is HARD. Who cares what size house Dave has. He never says you shouldn’t have a big house, and quite frankly, he’s not asking anyone else to pay for it. He simply says if you do have a big house, new car, fancy vacations, make sure you can afford them. Thats the whole premise; take care of yourself because no one else will. Make good choices financially and you are rewarding yourself forever. “Irresponsible credit card usage is not a problem for everyone.” I agree with this statement Stacey. However, I didn’t think I had a problem until I stopped using one. Then I realized how much I was overspending and creating a hole for myself each month. It’s a studied and verified concept that most people spend more when using a credit card vs. debit/cash. That was certainly true in my life. I listen to Dave’s podcasts at least 2-3 times per week on the way to work. I don’t agree with everything he says, but I don’t agree with everything that anyone (financial guru, friends, family etc.) says. Nobody can debate that he’s helped a ton of people work their way out of debt (and I think that’s amazing and inspirational). I’d never seen his house until I just clicked that link, but it doesn’t change my views about him. He’s clearly worked hard to build an empire, why shouldn’t he have nice things? The house doesn’t bother me in the least. I’ve never looked at that as being a bad example or him being a poor steward of his resources. He is a very giving person, not only to his church but to many of the listeners on his show. I love Dave. He helped me get started on our financial journey, and most of his stuff is absolutely solid. I could do without the investing “advice”, but other than that, I’ll always point people his way to get started. For me, I took the basic principles and built my own plan, and have been able to help dozens of others as well. So Dave always has a place in my good book, whatever the naysayers say. Thanks for sharing that Jacob…He is who kick-started my journey as well. I’ll always feel a debt (haha…no pun intended) of gratitude towards him for that. I personally am a huge Dave Ramsey fan. I think many people are turned off not because of his actual message, but because it forces them to self-reflect and they don’t like what they see. It’s hard for some people to be accountable and say “I messed up, but I’m going to do better now”. They want to live in a fantasyland where others pat them on the back for buying crap they can’t afford. “…it forces them to self-reflect and they don’t like what they see.” Agree 100%…that’s where I was. Fortunately, I chose to self-reflect enough and change my patterns of behavior. Thanks for the comment. – She doesn’t propose donating a lot to charity until you get your own house in order first. – My impression is she lives fairly frugally, (no big house), but I could be wrong about that. – She gave up her TV shows which are incredibly good (Till Debt do Us Part, Prince$$, Money Moron) because she didn’t like the drama that the networks we’re trying to create (back to my point about morality). – She still blogs daily and helps others ‘free of charge’ through this medium. My point in raising Gail in contrast to Dave Ramsey is to say, that, although I really like Gail and follow a lot of what she says, I throw out what doesn’t work for me (cash spending versus credit card, no charity until you’re debt free) but I think she would say that each situation is individual, same as Dave. I don’t know Dave Ramsey well, I know more about Gail, but they both help people tremendously and that is to be commended, not criticized. I think people who are negatively critical are probably just trying to defend their “I deserve” stances. One last comment – Dave’s investment rates do seem high… maybe they are just outdated. Otherwise, again, just throw out the parts that don’t work for you, as long as you keep the high level objective and message. Appreciate the comments DD. People always will find places to nitpick. Instead of looking at the bigger picture they focus on a perceived inconsistency (i.e. the investment issue). I never seen Dave publish his investment returns…only talk about it. I can only assume he is putting forth that number based on what he personally has returned during his lifetime. I can’t imagine he would promote a number he hadn’t personally achieved. Bringing faith into the discussion can certainly cause some strong feelings to arise. Of course, with his controversial attitude, it seems like he doesn’t shy away from playing with strong views. Thanks for the interesting analysis! You are right Leonard…it can bring about strong feelings. Even though he is a Christian, he does help and include in the discussion people of all faiths. Honestly, I don’t know Dave Ramsey before, but when I started to read PF blogs I observed that Dave are always on the title of the blog or in on the topic. But for me, there’s nothing wrong for being too religious because I have grown up in a very religious family especially my grand mom. Those with a religious background would tolerate the faith aspect he brings to the discussion more than those who didn’t have that growing up. I personally like it…it fits with who I am. Well I think personal finance is ‘personal’. People have different lifestyle, habit, preference, situation, etc. I think he has good advice, so I just keep in mind things that match with my personality and ignore the rest. “…keep in mind things that match with my personality and ignore the rest.” That seems to be the thought line for most in this comment section. We owe a lot to Dave Ramsey, as he helped us get into personal finance and out of debt. The part where I diverge from his approach is when it comes to investments (he recommends actively managed, front-loaded mutual funds, and a 100% growth stock mutual fund asset allocation). I think there’s a potential conflict of interest with his ELPs, as well. Still, he does a lot more help than harm. No need to hate on the guy. The investment advice which you’ve outlined does seem to be a sticking point with many people. We have many mutual funds but also do index funds as well. I left this out of my first comment as well, but his blatant partisan nature is going to turn off a lot of people. It’s his show so he can do as he likes with it, but once a show he lets loose a politically conservative, anti-government diatribe. It’s naive to think that sort of partisan vitriol isn’t going to get a reaction from others (unless, of course, you’re a conservative, too). Want less hate? Spew less hate. You get what you give. That’s valid…give and it shall be given. It’s tough to know when questioning government policies qualifies as hate speech though. He sees and feels a lot of government intrusion and attacks on freedom and values, so he calls the government on it. Of course those of a liberal persuasion would hate him for that. If he did so in a balanced, open minded manner, I think criticism of the government could be appreciated by just about anyone. But, let’s face it, that’s not what gets your ratings with conservatives in middle America. Blasting liberals gets you ratings. Nothing wrong with that, of course: it’s a business. Done by Forty is exactly right with ALL his/her comments. Thanks for sharing all that Bre! Isn’t it interesting how two people can look at exactly the same video and come away with different conclusions? “…a great motivator.” This is where his real skill lies, in getting people fired up about changing their lives. Most people simply need a small push, sometimes a big shove, to get going. It can’t be argued…he is surely providing that. Thanks for the comments and links Emily. I’ve only recently become aware of the ELP debate and don’t know enough about it to comment accurately. The funny thing is if you follow his advice you don’t really need an ELP to do the investing. You can do enough to learn on your own…he even teaches people how to invest on their own. I agree he definitely has a target audience just like any other radio show host. And it’s definitely not financial professionals. 🙂 Generally speaking (and I’ll probably catch flack for this), the financial intelligence of his audience is pretty low. You only need to listen to the callers to realize the awful mess most of them get into. Of course, that’s not everyone but that’s why his show works…so many train wrecks. And let’s face it…I really believe a lot of what happens on that show is entertainment value. Just like any other radio personality he has to be entertaining to keep the audience coming back. That’s why I listen! He’s very entertaining. I really like hearing from all the callers, not so much when he gives monologues on politics or promotes his books. I listen to Dave Ramsey almost every day and I absolutely don’t agree with everything he has to say. The one thing I do notice is that sometimes he’s just freaking MEAN! Like a grumpy old man. I think that sometimes the callers annoy him because I hear it in his voice. I wish he would chill out and not be so angry. He’s a millionaire, there is no reason to be so angry and he has tasked himself to help others. Shouldn’t he feel good about that? And yes, I do like a lot of his advice. Just need him to chill out. I’d like to know the man personally to see if the persona is different. I heard him speak at a 1-day leadership event and never heard any hint of meanness. I have to wonder how much of the tone and edginess is simply entertainment value. I have learned so much from Dave Ramsey. His teachings may have saved my marriage as my wife and I no longer fight over money. We reached “baby step 7” and it is a great place to be. Some of these criticisms provide avenues for Dave to improve. For instance, I went through Financial Peace University, which was great. They do not do enough with data mining. For instance, there should be some follow up years from now to see where the participants are and how much FPU has changed their lives. How much debt they’ve paid off, their net worth now compared to then, etc. That data in hand will do a great deal for Ramsey. I pointed this out to him and he blocked me on twitter because he saw me as a hater. The other thing with Dave Ramsey is his 12% investment rule. My investment earnings have exceeded 12% over the last 7 years I’ve invested in the market. It still makes me wonder as most other financial experts disagree with Dave on this. He cannot be right and everyone else wrong. He has been right in my situation, so, I’ll continue on that front. That’s a great testimonial E.N. and congrats on making it through the process. We recently entered step 7 and are loving it! It’s definitely hard to know when to confront “haters” and when to let their comments ride. I’ve dealt with that before on this blog and it’s always a question whether to enter the fray or not. If you confront you are seen as defensive and if you don’t confront people will continue to walk all over you. It is okay to confront “haters” but do so reasonably. He has had very shameful responses to some of his critics. Comments like “I help more people in 10 min. than all of you combined in your ENTIRE lives” is not acceptable. Whenever he is in his defensive mode and you say anything he perceives as an attack, his default move is to block you (on twitter). This only alienates some of his own supporters. I’m actually a fan of Dave Ramsey. The baby steps are working for me. Good to know Jason! Keep working it. There is a big life payoff at the end. Although I don’t necessarily agree with everything that Dave says, I think the most important thing he’s done is to continuously push the conversation about personal finance management in this country. I think he’s similar in that regard to Suze Orman. Both of them have their detractors. But I choose to take information that is relevant to me (ie Debt Snowball, Emergency Savings) and ignore all the fluff. He’s helped a ton of people get out of debt – and at the end of the day, that’s pretty freakin awesome! The E-fund and the Debt Snowball are the cornerstones of his plan. Everything builds upon that. What do you consider to be fluff in his plan? Or were you just talking fluff in general? Simply curious. I’d say the things that bug me most about Dave Ramsey are 1) He has a one-size-fits-all approach that he uses when he talks to people on his show, even though every one of their situations is different. I’ve heard him tell a caller to take money out of his retirement accounts to pay off his house because he should have focused on paying off his mortgage first. It’s a little too one-track minded to me. 2) His way is the only right way and everyone else is wrong. I know people absolutely don’t agree with his position on retirement. That must have been a crazy situation though for him to advocate doing that. “…he could do even more good if he expanded his horizons a little.” I get what you are saying here, but why should he change? His plan developed out of his own experience that allowed him to get back on track personally. It’s also rooted in more than just a simple method…it’s based in his faith which he has strong convictions about. I don’t see him changing just to fit what people say he should do. If I were in his shoes and had seen so many positive, radical transformations, I probably would stick to my guns as well. Oh I don’t think he should change the foundation of his plan. I think the foundation is what gives it so much power. But it reminds me of the quote from Henry Ford, “You can have any color car you want as long as it’s black.” Ford changed the world, but if things had stayed the way he wanted, we’d all be driving black Model T’s. I don’t doubt the power of Dave Ramsey’s message, I just think that if he were to recognize that there are many roads to financial freedom, many of them built on the same foundation he has, he would be able to help even more people than he already is. why was it crazy for dave ramsey to tell someone to take $ from their retirement account to pay off their mortgage? by “take $ from”, i presume that means a loan and not a withdrawl, hence no penalty or taxes. i intend to do that very thing just as soon as our mortgage is under $50K. and why shouldn’t i? we’ll still have just under $1M invested in the market and will continue to contribute to our retirement funds. when we do that, we’ve taken our house out of the danger-zone, i.e. no one can foreclose on it. and if we should both lose our jobs after taking out that 457 loan, we’ll have been separated from our employment so we cant pay that loan off instantaneously with our other retirement accounts with no penalties at all. I honestly didn’t realize Dave Ramsey received a lot of hate. In some ways it doesn’t surprise me because whenever someone reaches great success, which he obviously has, it seems to bring out the haters. I don’t necessarily agree with everything he says and does, but I imagine he wouldn’t probably wouldn’t agree with everything I say and do either. Like you said, that’s the personal part of personal finance. What I do appreciate about Dave is that he has obviously helped thousands if not millions of people confront and eliminate their debt. And for that alone, he deserves praise. People shouldn’t blindly follow his advice without taking into consideration their own personal situation, but that goes for anyone whether they are following Suze Orman, David Ramsey or you or me. Why do so many in our culture criticize those who are successful? That has always baffled me. Sounds like a topic for another post. I don’t feel one way or another about DR, although truthfully I’ve only heard his show a couple times. Not crazy about the religious talk, but that’s his show and you take it or leave it. With most PF gurus, I take what info I need and how I can apply it to my life, then disregard the rest. For instance his $1k emergency fund thing…that would not work for me because I really need a bigger one with being a freelancer and taking care of myself, etc. But I think like what Kim mentioned, you are always going to have haters no mater what if you reach a certain level of success. Even people at Get Rich Slowly get haters. Eventually in the process you get to save 3-6 months of expenses in the emergency fund. Building that initially though keeps people from addressing the debt with full force, which is the hallmark of his program. That’s why he says only start with $1k, then focus on the debt, then get back to saving more. I am not a big fan of Dave Ramseys; however, I am a big fan of his message of financial responsibility and well-being and I love that he has had a meaningful impact on you and thousands of other people. It is true that personal finance is personal, and I feel as though as long as you “get” the message from somewhere, then that’s all that matters. It doesn’t matter who is delivering it. “It is true that personal finance is personal…” I agree with this. However, I wonder sometimes how often we hold onto that idea simply to not face our issues. It can be a convenient “out statement” for not changing our ways. I’ve used it that way before. I think as Grayson said, anyone who finds success opens themselves up to the haters. We love to commiserate with others about our debts and blame the system or our boss or our parents about why we can’t get out of debt. Dave doesn’t let any excuse fly, and it’s easier to throw barbs than admit you might be on the wrong path. I read his books plus just about any others I could find when we got serious about getting out of debt. I think I took something from all of them as no one approach is perfect for everyone. Anytime you make money from something that benefits others, some people will always wonder about your true motives, but we all have to make a living. “…make money from something that benefits others…” I’ve never understood why people complain about that. Isn’t it true that every business produces goods and services for our use/benefit? Of course they should make money from that. I guess that’s just the capitalistic nature in me coming out. My wife won a copy of his book in a giveaway, but I haven’t gotten around to reading it. What limited knowledge I do know about him is that he says you only need a $1k emergency fund when you are trying to get out of debt. I think that’s too low, as do many others. I will reserve the rest of my judgement until I actaully read his book! I think the reasoning behind that amount will be clear once you read his book. The highlight of his program is Step 2 – the get out of consumer debt stage. He wants people to focus with high intensity on that stage and continuing to build emergency fund savings would nullify that intensity somewhat. He does advocate the accumulation of more emergency fund savings once you get to Step 3. I wrote a whole blog post about #3. Believing you are going to find consistent 12% returns is totally unrealistic and dangerous. People will save way less than they need to, and they’ll feel really cheated when they have to go back to work because they ran out of money some day. However I don’t think Dave is a bad guy. A lot of his advice on debt has touched many people, and that’s something you can never discount. I wonder what people would say if he dialed that back to say 10%? Everything else I’ve read about his investing strategy seems to be fine (as far as diversification goes). I guess some could argue he doesn’t promote buying individual stocks. I’d love to read what you wrote about it if you could provide a link. You say Dave’s investing strategy is fine “as far as diversification goes”. What diversification?!? He advocates 100% stocks no matter if you are 40 years or 1 year away from retirement. No diversification into bonds, etc. is terrible advice. I think I’ve read almost all off of Dave Ramsey’s books. The Total Money Makeover was actually what lead me to get interested in personal finance. I think Dave’s system is definitely a good place for someone to start, but as you get the basics down you’ve then got to do whats right for you. There are many suggestions Dave makes that I agree with and just as many that I disagree with. But personal finance is personal. Do what works for you! I started with Financial Peace Revisited then read More Than Enough, both of which I would recommend. What would you consider “getting the basics down” in relation to his baby steps plan? After the consumer debt is paid? People always hate others that are successful. I do disagree with some of the things he says, but I also understand the impact that he has had on the many lives around the US and probably the world. While I disagree with some of his views, I can’t say that I hate the man. “People always hate others that are successful.” I’m glad you brought that up Grayson. I thought about including that idea in the post, just didn’t seem to fit right with everything else I said. Yeah, it probably wouldn’t seem like a good fit within the post, but it works in the comments! I don’t see why people can’t take the advice they like and ignore the rest. I don’t agree with a lot of things he says because it’s unrealistic, but he has plenty of good advice to offer as well. I guess I’ve simply been surprised at the level of hate directed at him. That kind of ugly dialogue only serves to diminish the great work he has done in helping people. I’m curious, outside of the investing returns debate, is there something else you view as being unrealistic? Is it the credit card issue? Yeah, I think his stance on credit cards is outdated. Other than that, he gives great advice…especially to people who are just starting to get out of debt. “…face up to their irresponsibility…” That’s what did it for me Laurie. Only after I confronted myself did I get on the right track.